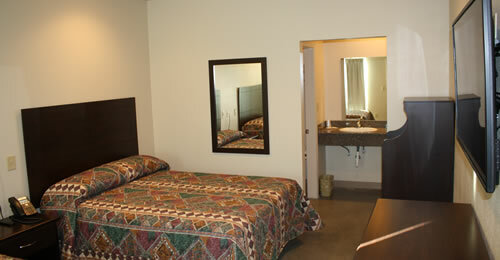 We welcome oilfield and business travelers. Use our facilities for safety meetings and presentations. Welcome to the newly opened Sterling Motel. Each of our 30 guest rooms and suites is appointed with comfortable furnishings and is completely smoke-free. Our inviting and comfortable beds are topped with pillow top mattresses and high quality pillows that are guaraunteed to provide you with a sound and refreshing sleep. This is our standard room. 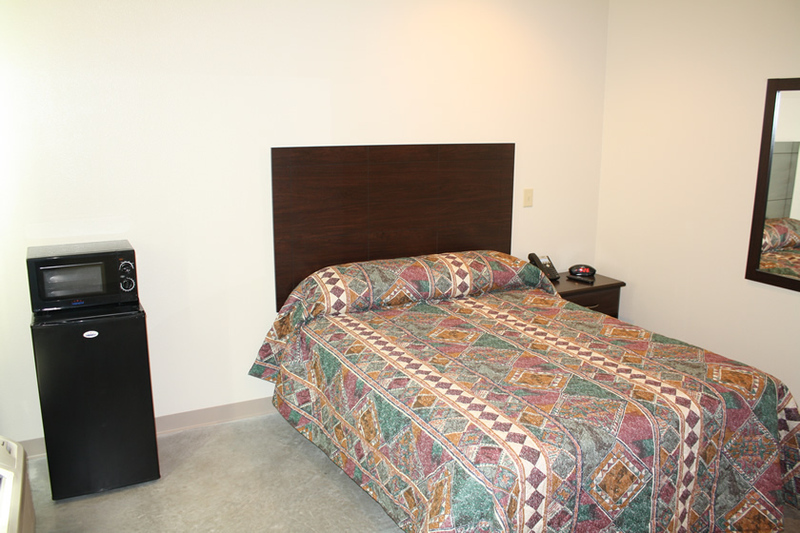 This room has two queen beds and will sleep up to four individuals. Rate above is the nightly rate. We have two ADA certified rooms on premisis. This room has all the comforts of our standard room but is handicap friendly. Rate above is the nightly rate. 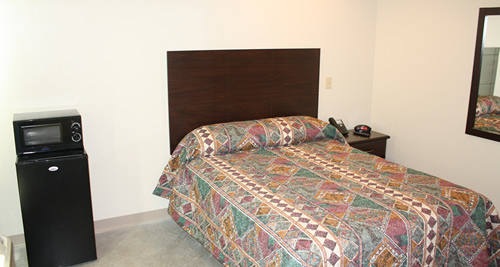 The room has a single queen bed and is designed to provide the ammenities of a full home away from home. Rate above is the nightly rate. The Sterling Motel, Sterling City, Texas’ newest and largest motel opens its doors in early January 2014. 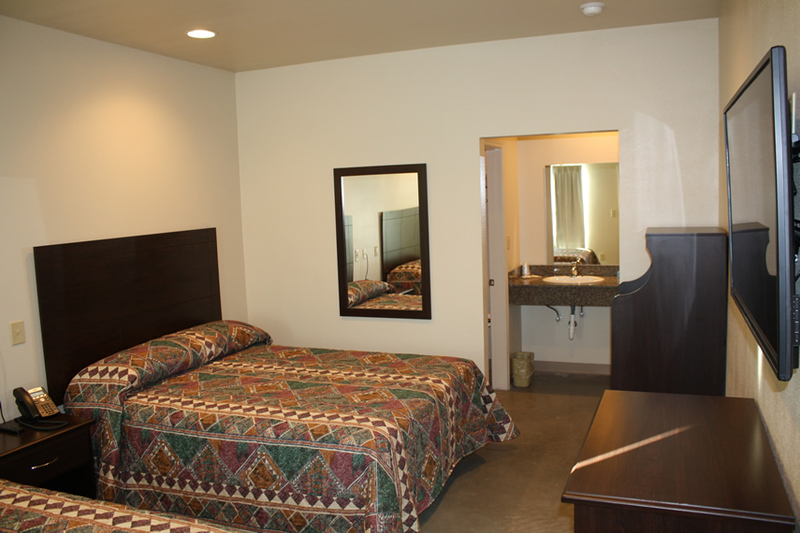 The property has 28 double rooms, 2 single rooms and 1 efficiency suite. 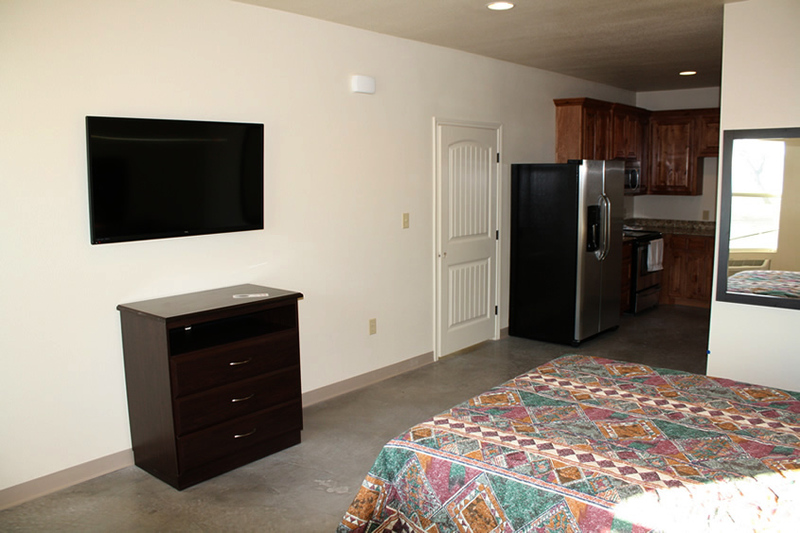 All are non-smoking rooms and include Queen sized pillow top beds, 50” LED flat screen TV’s with premium cable, blow dryers, refrigerator, microwave and self- contained heating and cooling units. The guest laundry facility has coin operated washers & dryers and an ice machine. A small meeting / conference room in the front lobby area can be used by guests for meetings, gatherings or for business or safety meetings. The entire property is smoke free. Sterling City has begun to see lots of growth and activity from the potential of the Cline Shale. The Sterling Motel is excited to be a part of the growth of Sterling City Texas. The Sterling Motel was designed with both the casual traveller and buisiness person in mind. 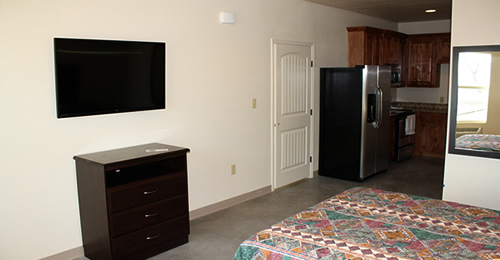 Not only have the rooms been designed with the most comfort in mind, the motel facilities are well thought out..
Each room is equipped with refrigerators, microwaves, 50" LED TVs, pillow top mattresses and blowdryers. The property is outfitted with a coin operated laundry facility. There is a small conference room available for not only guests but can be rented seperate if you need a place to hold a meeting.